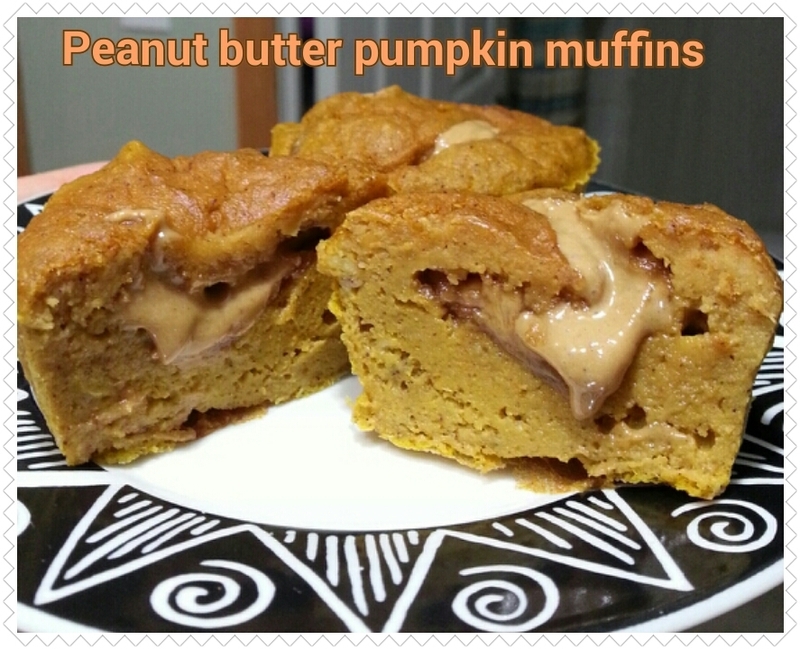 Peanut butter pumpkin muffins! So gooey and delicious! Makes 4 muffins. 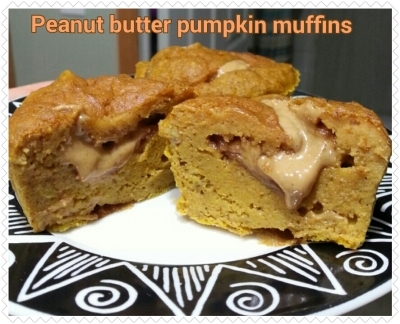 Mix the following: 1/3c whole wheat pastry flour, 1/2c pumpkin puree, 1 egg, 1/4tsp baking powder, 4 stevia packets, 1/4c almond milk, 1tsp vanilla extract, 1/2tsp pumpkin pie spice, 1/2tsp cinnamon. Grease a muffin tin. Add half of the batter in the tin, add in 2tsp of peanut butter, add the rest of the batter on top. Bake at 350 for 25 minutes.